The war in Yemen is getting more complicated by the day, with an imminent humanitarian disaster looming over the warring factions. Can anything be done or is it too late? 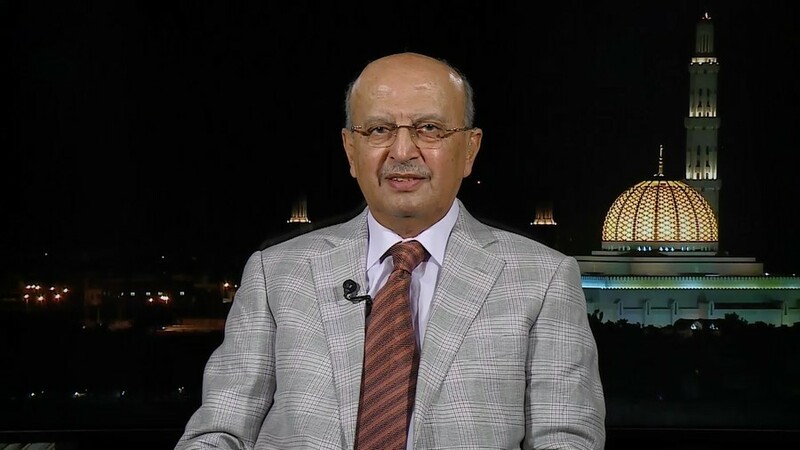 We talked to the former foreign minister of Yemen, Dr. Abu Bakr Abdullah al-Qirbi. Sophie Shevardnadze: Dr. Abu Bakr Abdullah al-Qirbi, former Foreign Minister of Yemen, welcome to the show. It’s really great to have you with us.Doctor, as if the situation in Yemen wasn’t complicated enough, protests have now broken out in the south of the country, with the Southern Transitional Council, supposedly backed by the United Arab Emirates, calling for a popular uprising to restore independence of South Yemen. Is Yemen headed into a complete collapse? Abu Bakr Abdullah al-Qirbi: I hope, not really. I think, the situation is very serious and is deteriorating by the day because no serious action has been taken either by the government of Yemen or by the international community, sponsors of the peace in Yemen. Because of the loss of direction and ability to understand the basics of this conflict. There are many players in this conflict. The situation is deteriorating and will continue to deteriorate, unfortunately. The issue of administration and humanitarian issues are very serious at the moment. But they are all the reflection of people’s loss of hope in any solution coming forward and the end of the hostilities in the conflict that exists in our country. SS: How does the Emirates’ support for the separatists go along with UAE’s military backing of President Hadi’s government in the fight against the Houthi rebels? How can they support what is called the legitimate government and at the same time a rebel group which is fighting against it? AA: I think, this is basically the reflection of the lack of direction of both the Transitional Council and the government. The government and the Transitional Council know that the southern problem has been addressed in the national dialogue, that proposals for the solutions were put on the table and were agreed upon. Therefore, I think what people have to do now is to return to the outcome of the comprehensive dialogue that has taken place in 2014 and address the recommendations made by the majority of political parties and governmental organisations of solving many of the conflicts that deteriorated since 2015. SS: The region that Houthis occupy roughly corresponds to the former North Yemen. The separatists in Aden are calling for the return of South Yemen. Both areas are very different - different terrain, religion, history. Why not just let the regions split and go their separate ways? AA: Well, I don’t think it’s just the matter of separate ways. The unity of Yemen was the aspiration of all Yemenis. The Yemenis had united the country in 1990 and are able to find reasons to descent either in the south or by the Houthis. The issue is that neither the Houthis nor the separatists in the south have the right to determine what people of Yemen want. If people want a permanent and comprehensive solution they have to sit around the table. If they want to change the national dialogue outcome everybody will welcome discussion how this can be done, how to tackle the causes of descent and how to rectify any mistakes that have taken place. But neither the Houthis nor the southerners can say that they represent people in the north or in the south. AA: I presume it is as strong as ever. It is now waiting for the opportunity to see the country fragmented, to take advantage of that fragmentation. What’s happening now really as the result of the war and the conflict between political parties and the leadership in all political parties; this has resulted in a situation which leads to fragmentation - and this is what Al-Qaeda and other terrorist groups are waiting for. It’s better for all these political parties to get together to see how they can prevent this fragmentation in order to be able to confront different types of militias, including the terrorist groups. SS: The coalition is mounting an offensive on Hodeida, the only port left in Houthi hands. The Associated Press is writing that cutting Houthis off the ocean will mean famine and death for millions. Why does the coalition resort to something so medieval as a food blockade in the fight against the Houthis? AA: As you know, blockades have always been unsuccessful, unfortunately. They actually have impact on people who are very poor or the majority of people who live on their early earning. It’s not only the blockade if you look at the situation in Yemen. What’s making it worse is that most government employees in the country have not received salaries or marginal part of their salaries for the last two years. This has added really to the starvation and to the humanitarian crisis. It has nothing to do with the blockade really. It has to do with the management of the country’s resources by both Ansar Allah in the north and by the government in the south. SS: The Saudi-led forces have been accused by the UN of causing enormous civilian suffering. The UAE’s state minister for foreign affairs said that “war isn’t clean, our operation isn’t clean”. I talked to the Emirates’ parliament speaker, and she told me that civilian deaths happen by mistake and that the coalition forces are trying to avoid them. But then why are there so many, are they not trying too hard? Or do you think they really just accept that war isn’t clean, that there’s going to be collateral damage and that’s it? AA: I think, for sure, there’s collateral damage. But at the same time the increased number of deaths from this collateral damage makes concerns about the use of the weapons of mass destruction in the war by both sides in Yemen, unfortunately. I think, what’s needed now really is to look at the human rights council report, analyse it and to take steps to see how one can at least reduce if not prevent collateral damage in the country. SS: The coalition forces have occupied most of Yemeni ports, and now there’s this separatist trouble in Aden, the most important port on the Red Sea - is the coalition plan to just control the southern tip of the Arabian peninsula, and the fate of Yemen as a whole isn’t much of a concern here? Or does that look like a conspiracy theory to you? AA: Well, everything is possible when you look at the the situation and all the strategies that are being implemented in Yemen. What’s needed now is for the UN Security Council to look at the situation and see what are the objectives of all that’s taking place in Yemen. Unfortunately, the UN Security Council and its approach to Yemen is only to listen to the special envoy’s reports every month or two, and the permanent representatives to the Security Council would make their statements which are always repetitive. Of course, they condemn attacks on civilians, they also talk about their concerns about the humanitarian crisis in the country, and then they declare their support for the special envoy, but nothing materialises in the end of it, no resolutions that are mandatory to end the war or to work out a political solution to end hostilities in Yemen. SS: The UN envoy on Yemen, Martin Griffiths, has met with every participant of the conflict, including the southern separatists. What are the chances that all sides can be at least brought to a common table, I don’t mean instant peace, but at least some communication, can the UN help Yemenis do it? AA: I think you must remember that every party in the conflict in Yemen have their worries and concerns and they also have their red lines. Unless the political solution is a comprehensive negotiated settlement in which all parties will be included nothing can be achieved to end the conflict. And then the special envoy has to address whatever is the final proposal to end the war, he has to address these fears of the Yemenis. But he should also remember that every side will accuse the other that they cannot make the decision because they are under the influence of one of those involved in the proxy wars in Yemen. This complicates things. Therefore, he also has to see what are the concerns and worries of countries involved in these proxy war to ensure that this agreement addresses their concerns. Unless this happens I don’t think there will be much progress. SS: The UN peace talks in September failed because the Houthis didn’t show up. What should be promised to Houthis so they actually start talking and settle this? Is the coalition even interested in that - or do they want a military victory first? AA: I think the best person to answer this question is the special envoy who knew exactly what happened, why the Houthis didn’t participate in the Geneva consultations. In my mind, the Geneva consultations were obviously looked at as a continuation of all the previous ones and nobody really took them very seriously. This is a personal view. Whether the complications in Houthis’ delegation to Geneva from Sanaa are real or made up - I think, the special envoy can answer that question. SS: So what does the Arab coalition want in the end? They say that they are fighting for peace and stability and against Iran. Surely after (and if) it is over, they will demand payment. What kind of payment can they ask for, what do you think? AA: I think, neither they are doing it for free nor they are waiting for payment. They certainly have their worries about the security threats from Yemen as they believe Iran will have a stronghold in Yemen. This is why I think, as I said earlier, the special envoy really has to understand what are the concerns and worries of the Arab coalition countries. But this is not the end of the story. He has to understand what are the concerns and worries of the non-Arab members of the coalition about the situation in Yemen. SS: The Houthis have long-range missiles that are capable of hitting the UAE and Saudi Arabia’s cities. The UN Security Council resolution to de-escalate calls for the militia to give them up. But can you really expect them to do that - they are already outmanned and outgunned, their enemies are backed by the West, obviously they are afraid that if they give up missiles they won’t have any leverage and will just be killed. How do you make them disarm voluntarily? AA: I think, the disarmament issue and the withdrawal from the cities, and all the military aspects of resolving the conflict were all issues that we discussed comprehensively in the Kuwait negotiations. And there were a number of solutions that have been put forward and even brought to implementation. I think, if people look back at those records and try to extract from them the proposals for disarmament and withdrawal of all… Obviously not all parties will be satisfied with them, but I think, this is a starting point for people to negotiate and make concessions on all these issues, because unless these issues are resolved the hostilities will continue. We in GPC have always said: no peace and stability will last in Yemen if there are armed militias in the country - of any type, let alone the terrorist groups. This is a real challenge that has to be addressed. SS: Doctor, you were and still are part of ex-president Saleh’s General People’s Congress. He was an ally of the Houthis, then they started fighting and he was killed. What are Saleh’s people doing now - are they joining their Saudi-backed rival Hadi, or staying with the Houthis? AA: Let me tell you something. I always get disappointed when journalists and countries talk about Saleh’s GPC. Saleh was the head of GPC, and we’re members of GPC, but not of Saleh’s GPC. GPC is a national party with 3 million members in the country - the largest and, I think, the most trusted party in the country. Our relation with the Houthis started after the wars of the coalition started. We were against the war, so this was what united us with the Houthis. But subsequently when the Houthis didn’t adhere to many agreements that we had with them, including how the political council acts, how the government acts, the running of the government institutions, Saleh felt it was time for him to break his relationship with the Houthis. And that’s what then escalated into a conflict between the GPC and the Houthis. So now I think our position in the GPC is that we’re working on ensuring that the GPC remains united to face the challenges and the very serious attempts to break it down and to fragment it. I think, we’re united to achieve that. There’s a long way to do it because we’re confronting a lot of problems in this process. SS: Sure, you are. And I remember the former president Saleh once said that ruling Yemen is like “dancing on the heads of snakes”. How can any kind of stability in such a place be reached, where alliances are always shifting, and everyone seems ready to fight everyone else? AA: I think, that’s a very serious and important question. What we really need is to draft a comprehensive peace agreement. We have to understand that we have to eliminate all these snakes, so that no new ruler would have to “dance on the heads of snakes”. This comprehensive agreement for peace would ensure that there’s really a partnership in ruling the country, there’s fairness in distribution of wealth, fairness in developing a democratic and federal state in a way that we assure all parts of the country that they are getting their right in running their affairs. We have learnt a lot, I think, since 2011 to know that there were many mistakes before 2011. But we made even more mistakes we made after 2011. It is time for us now to stop the conflict, to sit around the table, to make concessions, to give our concerns to the 29 million people of Yemen who are starving and dying because of the war and because of the selfishness of the political leadership. SS: When the war broke out there were just two conflicting sides: the Hadi government and the Houthis. Now there are the rebels in the south, armed militia in the east, forces loyal to the late President Saleh, al-Qaeda… Has the Arab intervention left the country more fractured than it was before? Is Yemen on the way of becoming the next Libya - or worse? AA: Well, I think certainly the coalition war left the country more fractured, they have actually strengthened the parties they wanted to eliminate. AA: I don’t think it’s important whether he’s present or not. He’s important as long as he realises as he claims and the world community insist that he’s still the president of Yemen. And therefore he has to adhere to his responsibilities as the president of Yemen and look at the interests of the Yemeni people. And I think, the interest of the Yemeni people is for him to play a major role in ending the conflict and getting Yemen to stability and reconciliation process. SS: Do you think that riding on the shields of foreign forces into the country is a good foundation for future stability? How long can Hadi realistically last once his backers win and go home - especially seeing how he was overthrown once already? AA: I think, again, this is partly responsibility of the special envoy and the international community. As I said, there have to be guarantees for all parties to feel that this settlement is going to safeguard their interests, will allow the presidency and the government of National Unity to get the country through the transitional period that will end in a normal political process or a complete solution. SS: Doctor, thank you very much for your insight. We were talking Dr. Abu Bakr Abdullah al-Qirbi, former Foreign Minister of Yemen, discussing the humanitarian and political disaster in the country.